1. 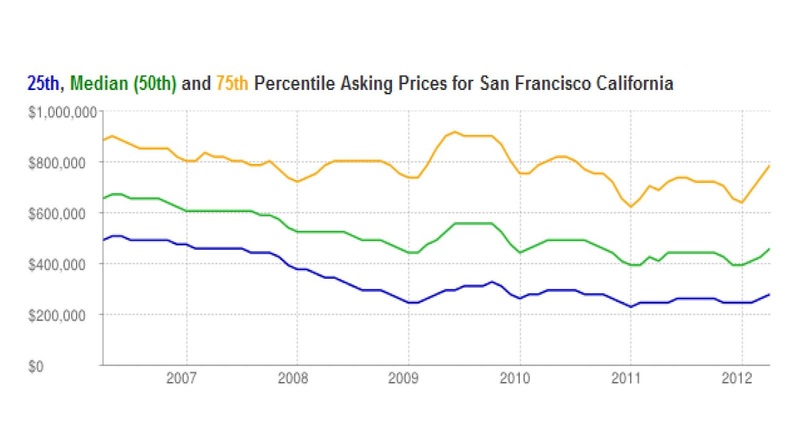 The natural floor of the low-end housing market in SF bottomed in 2009 around $220,000. A similar pattern exists for the median prices. 2. The higher percentile comes with more “beta,” as a result of fragmented demand / supply, reflecting the changing preferences of both buyers & sellers. 3. Inventory growth has been stagnant, and falling since 2008—stabilizing prices. The direction of the colorful lines is less known, but the proportional movements between them are worth a reflection.